1821 census Forkhill parish - a wonderful discovery! 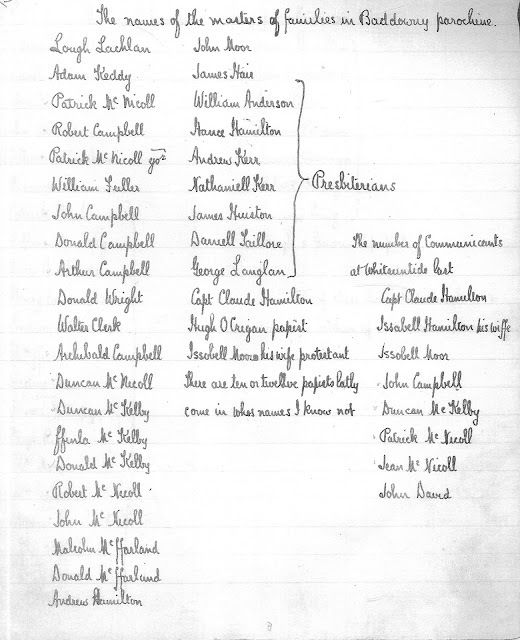 A complete copy of the 1821 census for the parish of Forkhill was discovered in the archives of the Jackson Charitable Trust in 1999. The minutes of the trust reveal the nature of the discovery and the subsequent publication of the complete census in a local publication. 1999 – An estate copy of the 1821 Forkill Census and 1820 Church and County Cess list was found in the Trust’s archive. The secretary had the data computerised. 2003 – The 1821 Census data was given to Professor Leslie Clarkson of Queen’s University Belfast for analysis and publication. At the same time the text was given to Mullaghbawn Community Association for publication, to which the secretary contributed an introduction. The Community Association invited the Trustees to a ceremony of handing over the material in February 2003, and to the book launch in November 2003. 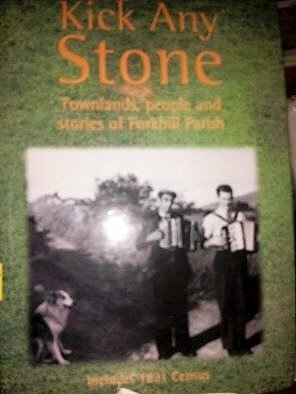 The title of the publication is ‘Kick Any Stone’ and it is a most handsome volume. The book was sold out and second hand copies are hard to come by. Townlands covered by the census include:-Aughanadove, Aughenduff, Ballykeel, Carrickasticken, Carrickildreen, Carricknagavanagh, Carriff, Cashel, Clarkill, Cloughwhinny, Doctors Quarter, Latbirged, Levelamore, Lisnalee, Longfield, Moffoner, Mullaghbawn, Shanrow, Shean, Sleavegullion, Tiffcrum, Tullymacrieve. Crilly, Bennet, Burns, Byrnes, Daly, Douly, Feagan, Forde, Grant, Gollogly, Grogan, Kelly, Hanlon, Hanratty, Hollywood, Hughes, Magill, Martin, McAleavy, McArdle, McCann, McCoy, McElroy, McGleade, McGeough, McKeown, McKinley, McNamee, McNeill, McParland, McVarry, Morgan, Mulholm, Murphy, Nugent, Neill, Quinn, Raverty, Ryan, Smyth, Toal & Toner. The census names 6344 people in the parish. The names of each person in each household is given and their relationship to the head of household. Occupations are also noted. 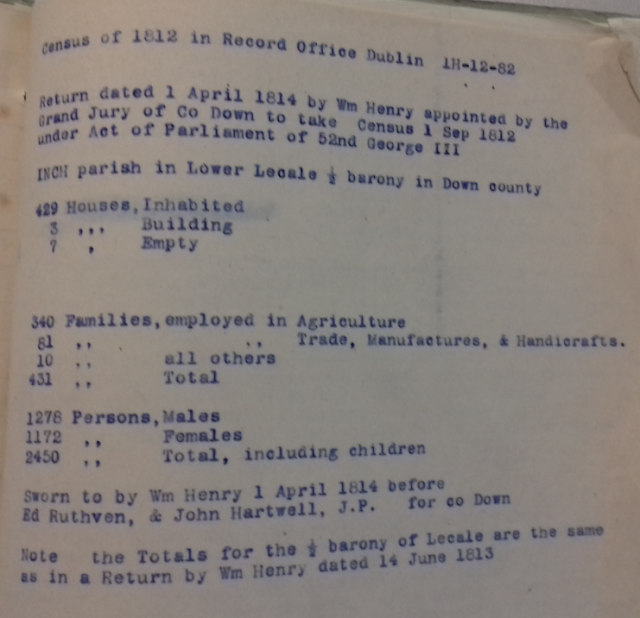 There are additional observations such as acreage of farm held (and also if land was held in another townland). Duffy was a pensioner an indication that he had been in the military and it seems that he had lost an arm whilst serving in the army. Many Irish men made a career in the British military in the 18th and 19th centuries. The census indicates that Patrick Duffy was born circa 1771 but ages given in the returns were often inaccurate. A search of the National Archives database in Kew gave a possible match in the army service records. 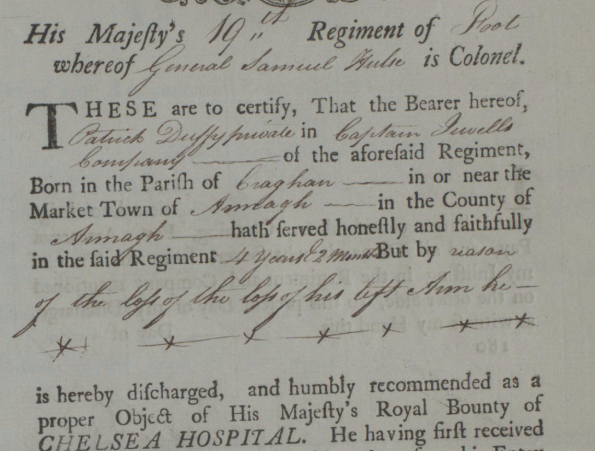 Patrick Duffy was a private in the 19th Regiment of Foot and served for four years and two months but was discharged in 1807 on medical grounds with a pension 'by reason of the loss of his left arm'. 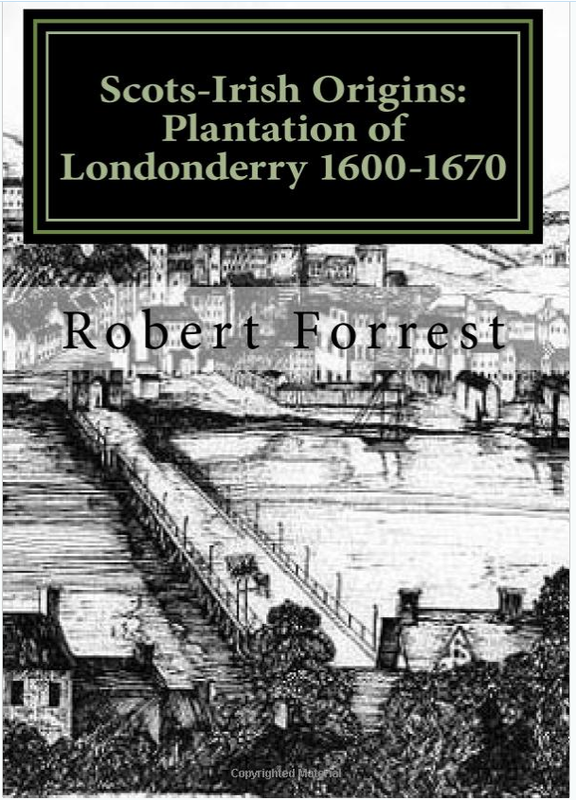 Interestingly the document shows that Duffy was born in Creggan parish in Armagh (a parish contiguous to Forkhill parish where he resided in 1821). 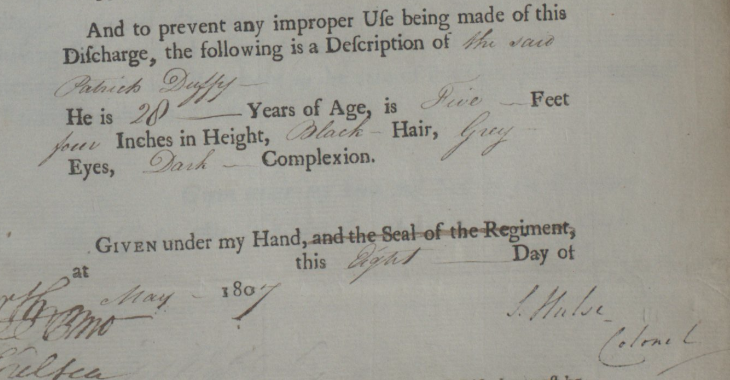 To prevent 'pension fraud' a description of the claimant was given - Patrick Duffy was 28 years old in 1807 (giving him an approximate birth age of 1779). He was 5ft 4 inches tall with black hair, grey eyes and of dark complexion. The discovery of the 1821 census for Forkhill has helped to shine a shaft of light into the history of the parish in the early 19th century. 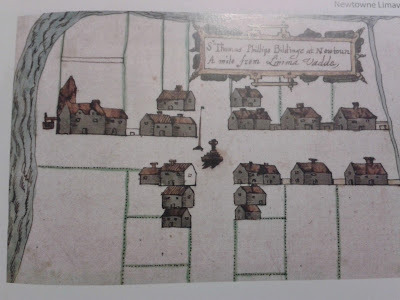 It allows the local historian and genealogist to trace family lineages back into the eighteenth century for many of the families recorded in the census.